It is no secret that I am a pretty big fan of TBS skincare products. I swear by quite a few of their products and I was hoping to add their Vitamin E eye cream to that long list of products. For an eye cream, this is an affordable one. 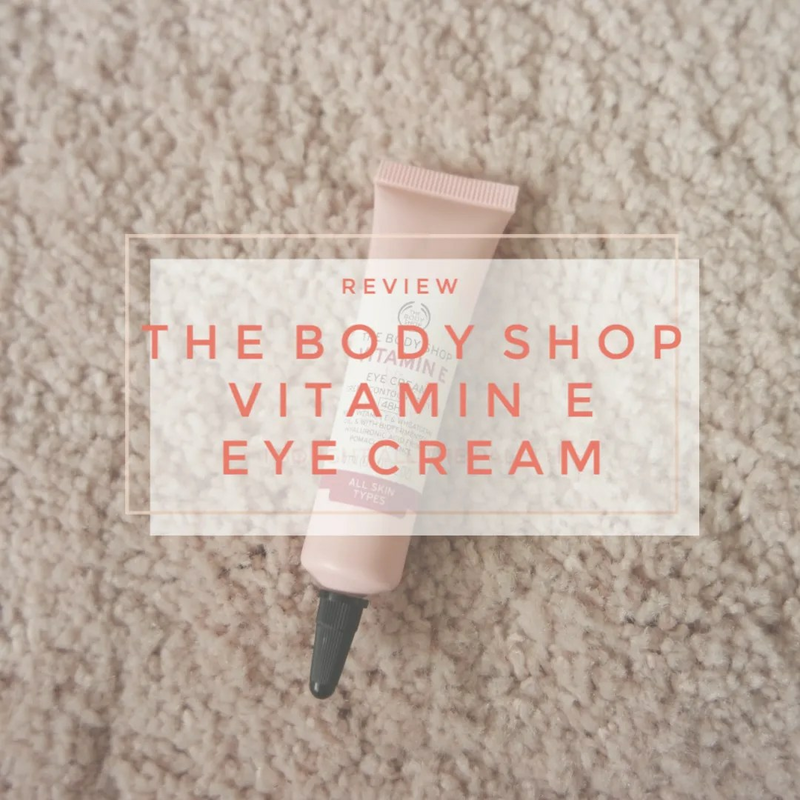 It retails for €15, which is quite good for an eye cream, which can often times be some of the most expensive skincare products on the market. The packaging of this eye cream is actually quite handy to use. This eye cream comes in a squeezy tube. 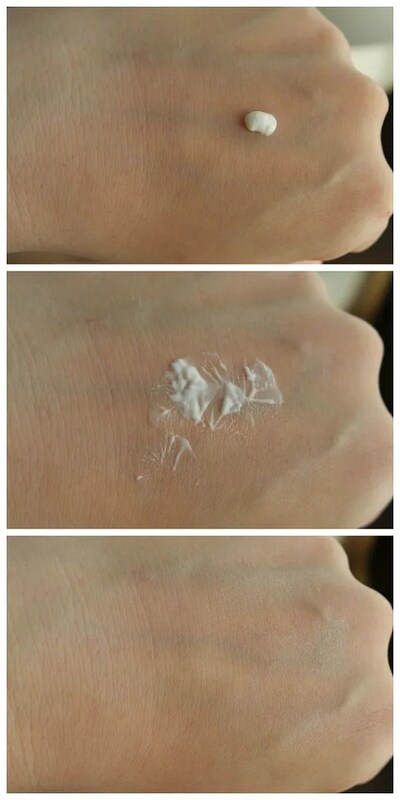 That makes the application of this eye cream super hygienic. One of my favorite eye creams is the Kiehl’s avocado eye cream, but that comes in a pot, which means you have to stick your finger in. 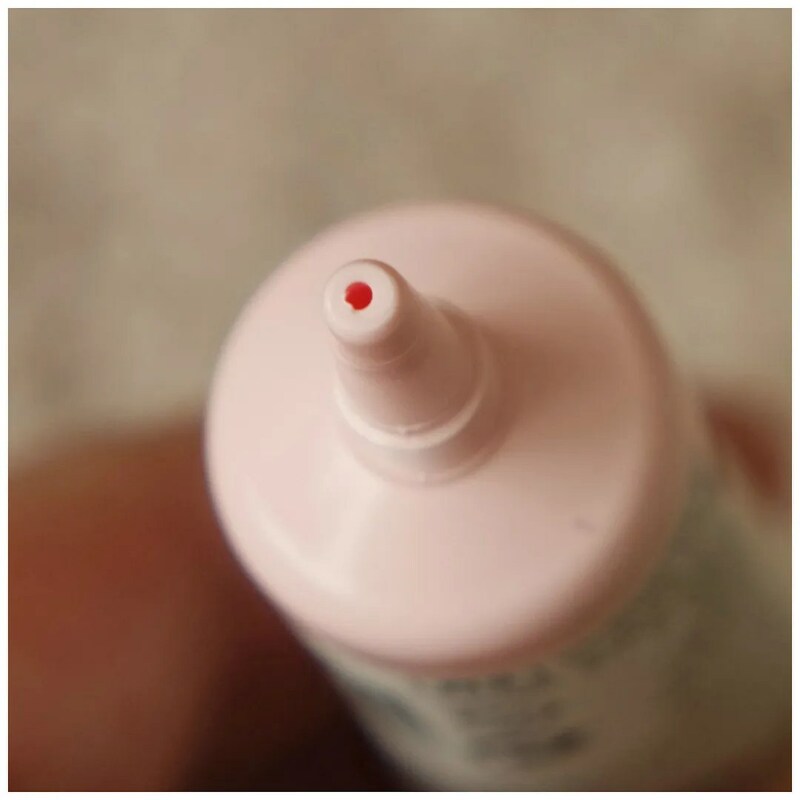 Since the Vitamin E eye cream comes in a tube, it means this product is less likely to expire and the formula has a bigger chance of staying stable as you use it. However, when I saw this pointy end to the tube, I was was still a bit skeptical. While I was curious enough, I also feared that the product would not be thick enough as it would have to be thin enough to be dispensed through this itty bitty little point. I don’t have the driest eye area, for some reason it is the only area on my face that is a bit oily to be quite honest, I still need an eye cream to keep milia at bay and I feel that using an eye cream in the morning before doing makeup lessens the creasing of my concealer. So as predicted by the packaging, this eye cream is not the richest eye cream on the planet. It is why I am running out of this quite quickly. I think I have been using this for 2 months now, maybe less? Because the formula is quite thin and it is absorbed quite quickly on the skin, so I feel I need quite a bit to make it last and really nourish my area. I have been using this eye cream both day and night and I feel it doesn’t really have enough effect for a night time cream. For the night, I really need something richer in texture and much more creamy. So I will be repurchasing the Kiehl’s Avocado eye treatment very soon! That said though, this eye cream is a great one for the day time. I really struggle finding a good concealer that does enough to nourish my eye area, but that still sits well under makeup and I feel this definitely fits the bill. It is light weight enough to not mess with your makeup application, yet still packs enough of a punch to do a bit of hydration throughout the day. 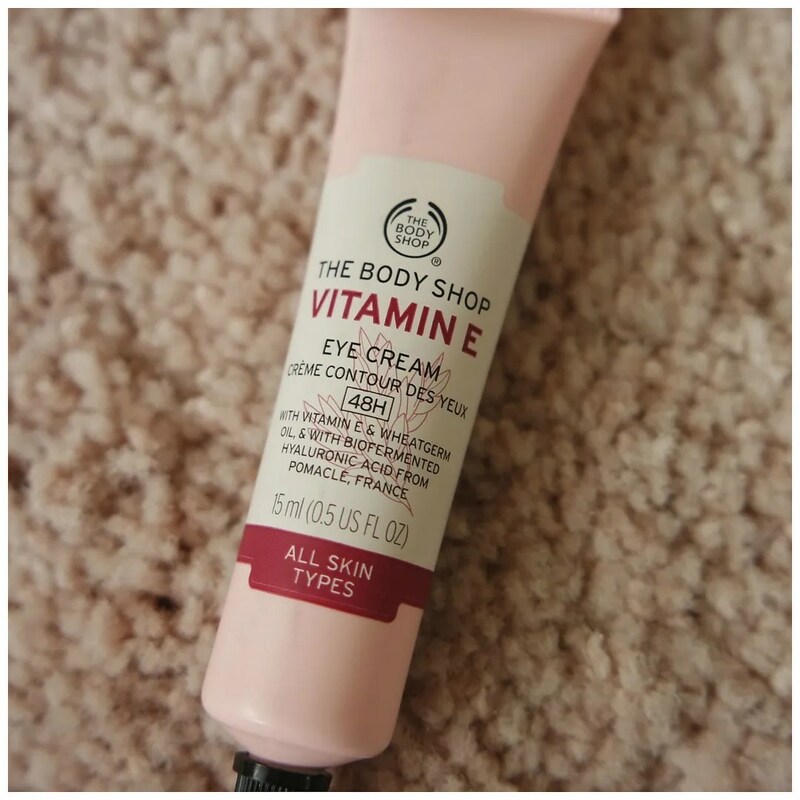 To be quite honest, The Body Shop’s Vitamin E eye cream kind of surprised me. I have tried plenty of eye creams that didn’t do enough, didn’t sit well under makeup or that irritated my eyes. And the ones that I tried that did work, were twice the price of this one. So to find a great everyday eye cream that works well under makeup and doesn’t break the bank has been a blessing. I will definitely repurchase this, but will only be using it as a day time eye cream and will repurchase the Kiehl’s for that extra bit of night time hydration. I love the body shop I have been trying their mask and I love them I would love to try some of their other skincare. Do you have any favourites? or recommendations? I think it depends on your skin type. The aloe vera toner and foaming cleanser are some of my favorites for my sensitive, dehydrated skin. I also love the Vitamin C Microdermabrasion and Vitamin E Serum-in-Oil.